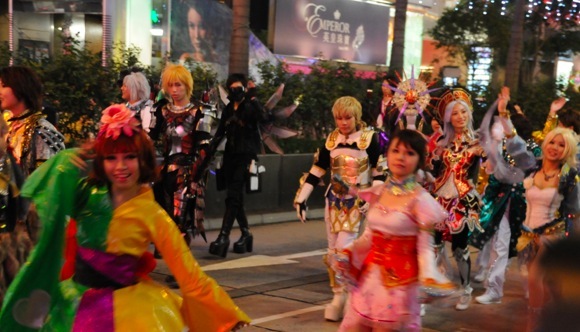 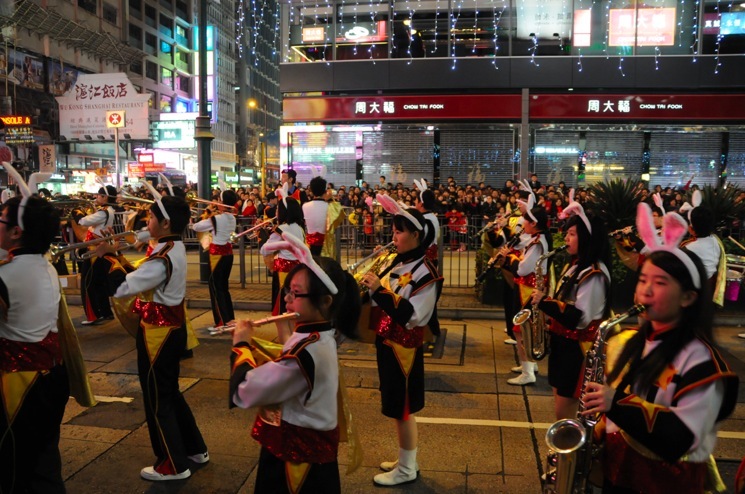 We had to wait 90 minutes and to keep the masses entertained, there were some groups of Korean/Japanese girls and boys dressed in bright colours and wild costumes as well as some marching bands – some made up from very young people! 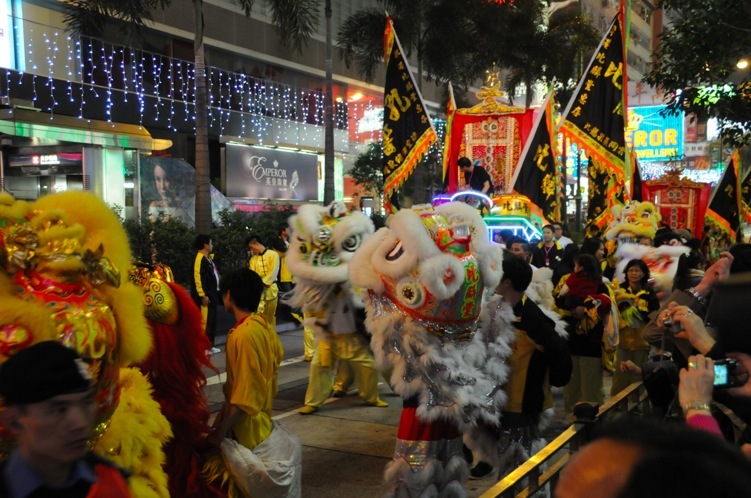 The parade kicked off with a float by Cathay Pacific, followed by staff. 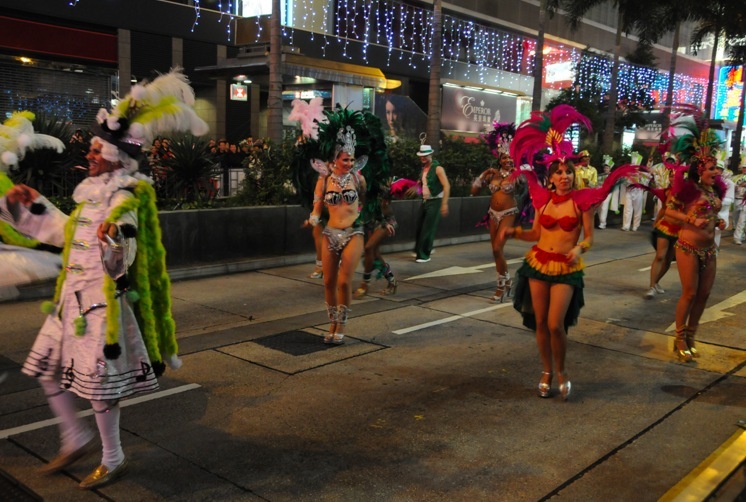 The World Parade featured 13 illuminated floats accompanied by international (US cheerleaders, a US choir, a Czech majorettes dance group, an UK Samba school were those that I remembered) and local performing groups. 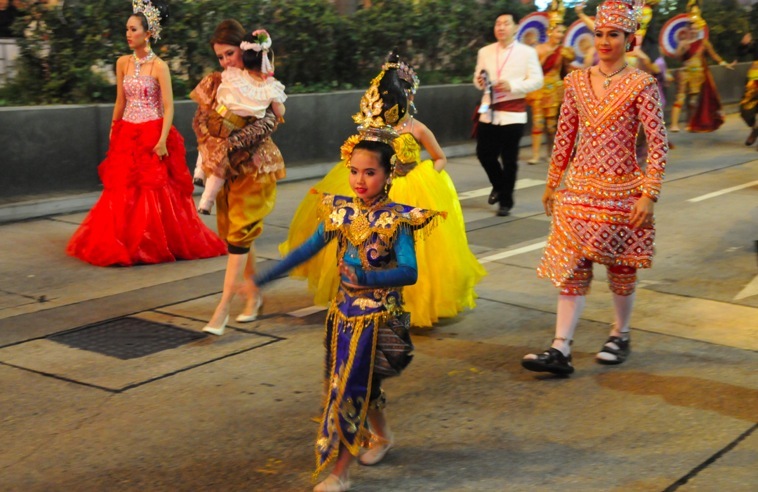 But the ones that impressed me the most were the Thai temple dancers, who wore elegant clothes and walked in a fascinating and beautiful style. 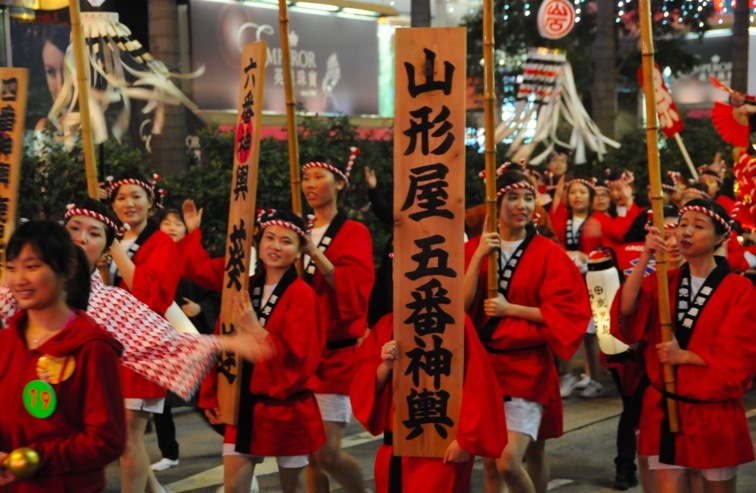 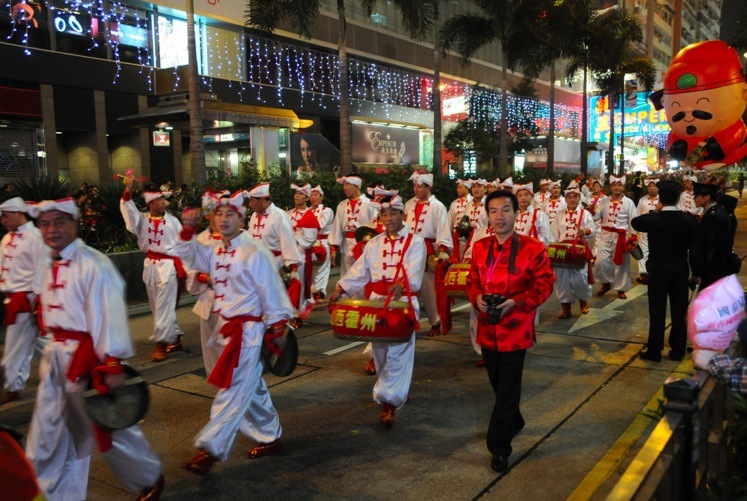 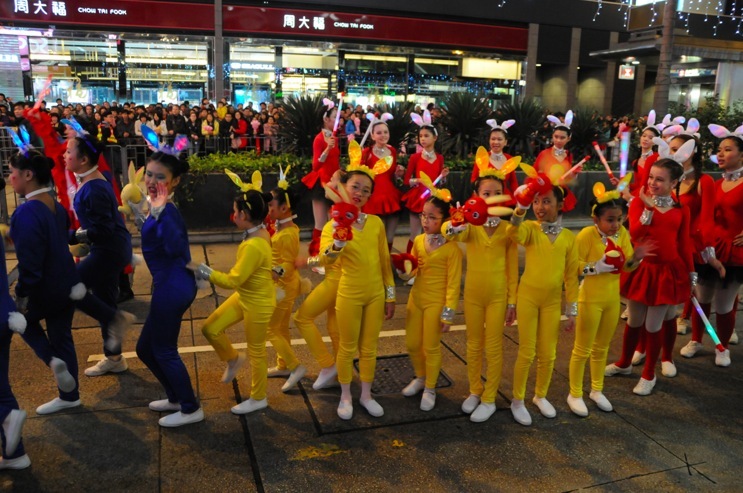 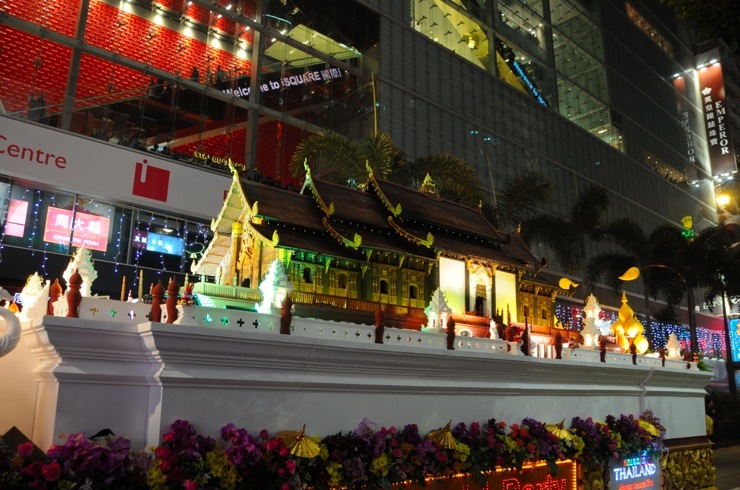 The Chinese New Year parade started in 1996 and it is now the 16th time that it was being staged. 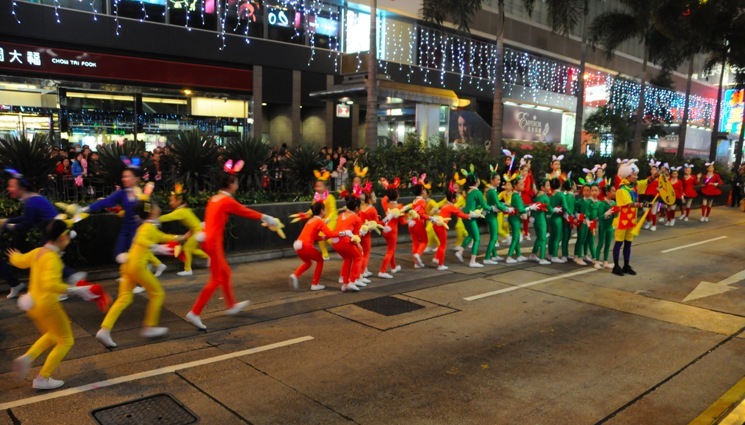 It was a sleek organisation, although some of the floats were delayed, there were street performers, people handing out red envelopes (with watermelon seeds – probably another good luck wish as well) and a lot of police people monitoring the crowd.